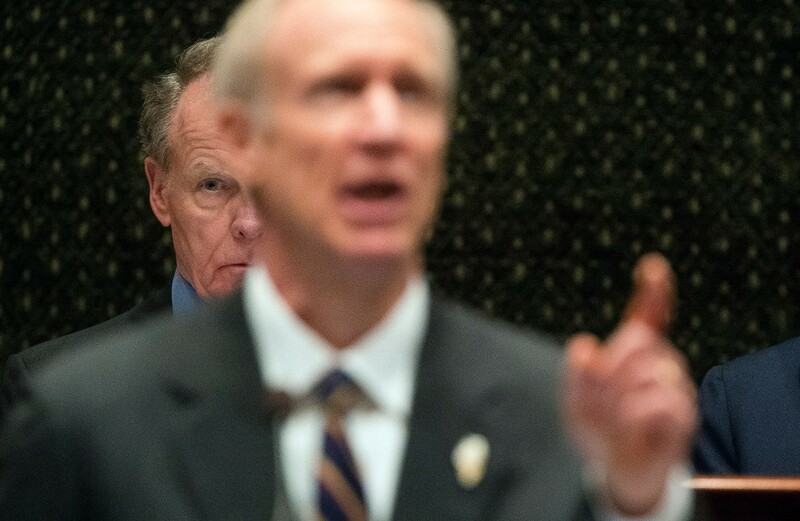 Illinois house speaker Michael Madigan listens as Governor Bruce Rauner delivers his State of the State address. Welcome to the Reader's morning briefing for Tuesday, June 27, 2017. Also, City Council Black Caucus chair Roderick Sawyer criticizes Garry McCarthy for being "disrespectful to black people." Also, CPS alters plans to shut down three Englewood high schools over the summer. Also, Chicago matches snowfall record with nine straight days of measurable snow. Tori Marlan explores the people and profiteering in the city's brick salvage industry. Trader Joe's Vintage Ale, brewed by Unibroue, is meant to be cellared. Is it better that way?